The dedicated and talented masters at Yong In Martial Arts are very good at finding the right balance between the many different dimensions that Tae Kwon Do has to offer. 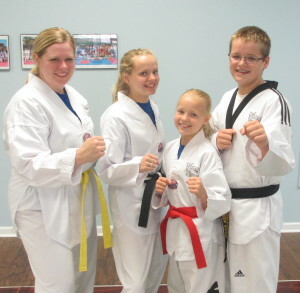 Tae Kwon Do can redefine “family time”. Participation in this martial art provides many benefits to the entire family in the form of fitness, focus, confidence, self-discipline and self-respect. Monday through Fridays from 7:15 p.m. to 8:00p.m.